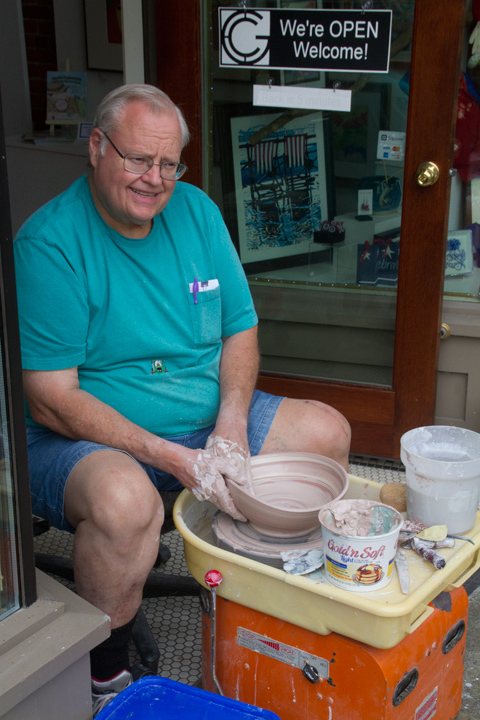 Dennis Johanson had lots of visitors watching him form his beautiful swirl porcelain pots on his wheel at the Gallery Calapooia doorway during downtown Albany’s Crazy Days. Stop by and see the finished works soon. This entry was posted in Albany and tagged Dennis Johansen, Gallery Calapooia on July 16, 2015 by Rob Robinson.